Hardly a pleasant subject to discuss or even ponder. There is no question about it. Little is more heart-wrenchingly difficult than funeral planning; a task with which a great many of us will be charged (or at least involved) at some point in our lives. There is also no getting around the fact that, to put it bluntly, death is no cheap prospect. In the United States alone, the funeral industry is estimated to be an approximately $20.7 billion per year business; with the typical funeral costing between $8,000 and $10,000 (and those figures are for a “no-frills” funeral)**. The funeral industry and all who work within it play a crucial role in our society; for which I am truly grateful. I am also all in favor of people earning a living and companies turning a profit. That said, I am very much against those who gladly exploit those in need at their most emotionally vulnerable and who likely may be unaware of their rights and/or alternatives when it comes to the intricacies of funeral planning. Do not wait to become educated about funeral and burial needs and arrangements. For example, did you know that you can have a separate mortuary handle arrangements independent of the mortuary, cemetery or crematorium where final arrangements will actually take place (something that I have done several times). Did you know that you are not obligated to purchase items such as coffins, urns, headstones, grave markers and flowers through the same mortuary or cemetery that handles the arrangements? The more knowledgeable you are now, the less likely you are to be financially or otherwise taken advantage of at the worst possible time. It is vital that you educate yourself thoroughly and if at all possible, before the need arises. It is estimated that funeral homes and other death care facilities currently control approximately $7.4 billion in revenue garnered from pre-need funeral and cemetery sales. 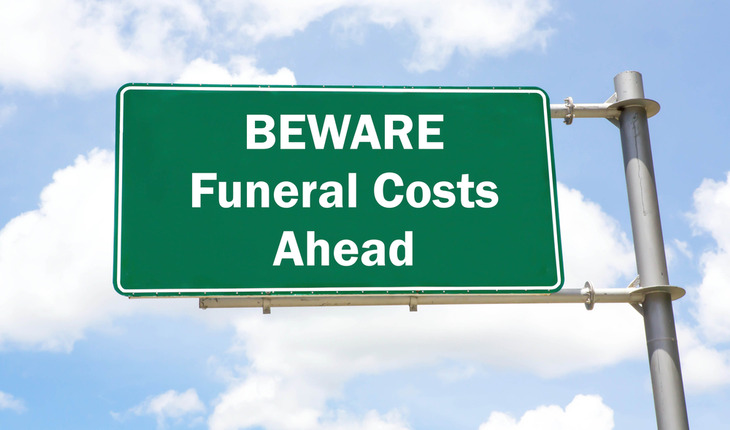 You may be under the mistaken impression that you are obligated to pay for funeral arrangements in advance of need; especially if you are set upon by an overly-ardent preplanning “counselor” (aka a salesperson who is likely working on commission or incentive in some form or fashion). Preplanning and prepayment are optional services; they are not mandatory. My late husband battled ALS/Lou Gehrig’s Disease for just over two years. One year prior to his death, I experienced ongoing harassment by a preplanning counselor who wanted to open a dedicated “funeral account” and procure funds in the low-five figures. I very firmly advised this person that all of our reserves were being spent on the sustaining of my husband’s life (as in-home caregiving is not covered by medical insurance) and that when it came time to financially focus on my husband’s death, I would do so at a time of our choosing – and not one minute before. When that time came, I subsequently took that “financial focus” to a different mortuary; one who actually cared more about my family and less about our bank account. Making both practical and financial arrangements prior to the time of need can be a responsible and thoughtful thing to do. However, if done hastily, naively or under duress, preplanning can also result in falling prey to a “hard sell”, purchasing that which you do not need or in the worst case scenario, prepaying into an account or for a policy that does not exist (for any number of reasons) when the time of need arrives. Should you choose to establish a preplanning account with a mortuary or funeral home, you must first do your homework thoroughly. What will happen to your account if the funeral home sells to new owners, declares bankruptcy or otherwise goes out of business? Does the business have insurance to protect your funds against unforeseen business hardship, natural disaster, etc.? What if the person or people with whom you are doing business prove to be dishonest? Client fraud (industry employees dipping into client trust accounts and withdrawing cash; employees filing fraudulent life insurance or funeral/burial policy claims, etc.) can and does happen. If a mortuary says that they will purchase a funeral/burial policy on your behalf, be aware that this is something that you can very easily do yourself through a reputable insurance company and likely at a lower premium cost. Another easy (and trustworthy) alternative is to simply pay yourself by placing your allotted funds into either a personal savings account specifically designated for funeral preplanning or into a family trust. Love is absolutely NOT measured by the amount of money you spend on a funeral or memorial. A family sits grief-stricken in a funeral director’s office reviewing a menu of goods and services offered. Both overwhelming grief and confusion reign as the family struggles to make wise decisions to everyone’s satisfaction. The funeral director feigns sympathy and says things like, ” Don’t you want to show everyone how much you love him/her? Don’t you think they deserve the very best?” The director then guides the family to more expensive and/or unnecessary items and services, while enthusiastically encouraging them to incur debt in order to pay for it. Finally, the director insinuates that if the family chooses against spending vast sums of money that they do not have, they clearly did not and do not love their dearly departed. This disturbing and (in my opinion) unethical sales “technique” is tragically common enough that a major television network profiled said technique in a recent documentary. Be they friend or foe; family member or funeral director, do not let anyone goad, push or “guilt” you into purchasing that which you do not need, want or perhaps most importantly, cannot afford. If you understand nothing else, it is imperative that you understand this: Love is not now, nor will it ever be measured by the contents of a checking account or a credit card limit…not in life and certainly not in death. At this most critical time, you must state exactly what it is that you want; be it for yourself or on behalf of the person for whom you are making arrangements. It can be challenging to summon the strength to speak up while in the throes of immediate or anticipatory grief…but speak up you must. I personally observed a funeral director tell a family wishing to purchase a plain, wooden coffin (as is commonly done in many religions) that their beloved would not be properly protected from the soil or the elements in such a coffin – even though as mandated by both state and federal law, all coffins are properly insulated, vaulted, and well-protected prior to burial. Once the funeral director deceitfully presented a picture befitting a bad horror movie (including the implication that a plain wooden coffin was tantamount to the utilization of an apple crate), the grieving widow could not be convinced by her family that she should proceed as originally planned. She instead acquiesced to these disgusting sales tactics, purchased a far-more-expensive coffin and thereafter found herself saddled with a final bill from the mortuary that catapulted her into serious debt. Whether ahead of need or at the time of need, go into the mortuary or funeral home with a solid idea of what it is that you want (and if at all possible, what your loved one wanted) and stick to both your plan and your budget. It is also an excellent idea to have at least one other person accompany you; someone who you trust and who can wisely advocate on your behalf if you feel that you might be too overwhelmed or confused to do so yourself. Most mortuaries offer “packages” that may appear to save you money. However, there are oftentimes items included in packages that you may not need. For example, will you really need funeral procession traffic officers? Is it absolutely necessary to rent a coffin for a cremation? Coffin sprays and standing floral displays are nice; however they are both expensive and not a necessity. Go over package offers very carefully in order to determine whether or not you will be utilizing everything that is being presented to you – you may find that a package is not necessarily suited to your needs. Many people do not know exactly what is included in the total price quoted; instead making assumptions that the total price includes absolutely everything. Unfortunately, these same people wind up being very unpleasantly surprised. Worse, be it due to overwhelming grief, naiveté or a combination of the two, most people do not inquire as to specifics. For example, does the total price quoted include post-funeral tasks such as obtaining death certificates (which are not an option; you will need death certificates to facilitate financial and legal transitions). Did you know that in most cases, a grave marker or a headstone is an entirely separate purchase from the funeral/burial itself? Request an itemized accounting of exactly what goods and services are going to be provided prior to, at the time of and after the funeral. If anyone or anything makes you uncomfortable…walk away! Remember two important points: (1) The funeral industry is a business and (2) The people in that business wish to make money. Again, there is nothing wrong with running a profitable business or wanting to make money; however, there is definitely something wrong if the desire for profit supersedes the needs, wants and/or financial capabilities of the client or if earnings are achieved in an unethical, improper or in the worst case, fraudulent manner. If anyone or anything makes you uncomfortable at any time during your arrangement-making process, go elsewhere. If you feel that you are being unduly pressured, file a complaint with management and walk away. If you are not being listened to, walk away. If you are not being treated compassionately and with respect – for the wishes of your loved one, for your own wishes and for the realities of your wallet – walk away! Drawing near to loved ones. Honoring the love and the legacies left to you by your loved one. Finding your comfort and your peace.